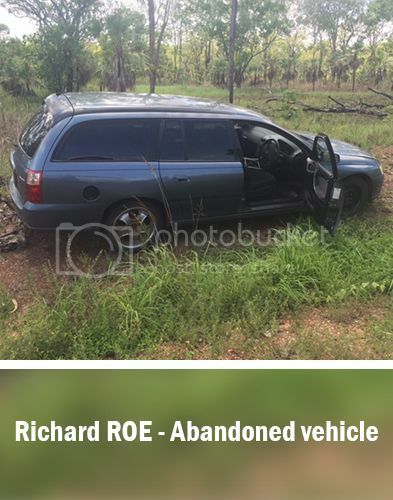 Richard ROE has not been seen since 2 November 2016, after he abandoned his vehicle near the intersection of Chinner Road and the Stuart Highway, south of Darwin NT. The exact nature and circumstances of his disappearance are unknown. Police are still investigating. If you have information that may assist police to locate Richard please call Crime Stoppers on 1800 333 000. Police believe the disappearance of Darwin man Richard Roe could be linked to Darwin’s meth scene. Roe, 40, last contacted his mother on October 25 before his car was found abandoned without fuel on Chinner Rd near Lake Bennett six days later. Detective Senior Sergeant Lee Morgan said Roe had friends involved in the use and distribution of methamphetamine and investigations had centred on his links to the drug world. “We’re currently working to establish Richard’s involvement in the drug world and trying to establish if his disappearance is linked to anything to do with drugs,” he said. “Richard has not accessed his bank account for a number of weeks. He last used it on October 20 and what is of a great concern to us is he failed to lodge his claims for unemployment benefits in the last few weeks. Anyone with information about Richard’s whereabouts should contact police on 131 444 or Crime Stoppers on 1800 333 000. Richard is described as being of indigenous appearance, 175cm tall, olive complexion with brown eyes. He usually shaves his head and has a tattoo of an eagle or dragon on his left upper arm. THE family of missing man Richard Roe are said to be devastated that police investigating his disappearance now believe the 40-year-old is dead. Detective Senior Sergeant Lee Morgan of the Major Crime Squad said police believe the disappearance could be linked to Darwin’s meth scene. Detective Morgan said Roe had friends involved in the use and distribution of methamphetamine and investigations had centred on his links to the drug world. At a press conference yesterday Detective Morgan said police had failed to find any evidence to believe Roe was still alive. “All inquiries to date have failed to locate any trace of Richard, who was last seen on 2 November 2016,” he said. A school friend of Roe, who did not want to be named, told the NT News he was a “good bloke”. “He got a bit lost and involved with the wrong crowed but he is a good bloke old school great footy player I know if I was anywhere stuck or in trouble he wouldn’t hesitate to help,” she said. “And that’s how he was with his mates he was well mannered but tough as, a proper Darwin lad. Police say little information from the public has emerged since their first appeal in November and are desperate for anyone who may know something that could help to come forward. “I was devastated when I heard and I’ve been trying to find out what happened but no one is talking,” the friend said. Detective Morgan asked all residents in the Chinner Rd area to check their properties for anything that looked suspicious. If you have any information that may assist, please contact police on 131 444 or Crime Stoppers on 1800 333 000, you can remain anonymous. Following a tip-off from a member of the public, Northern Territory Police have expanded their search for a missing man who they believe has links to Darwin's drug world. 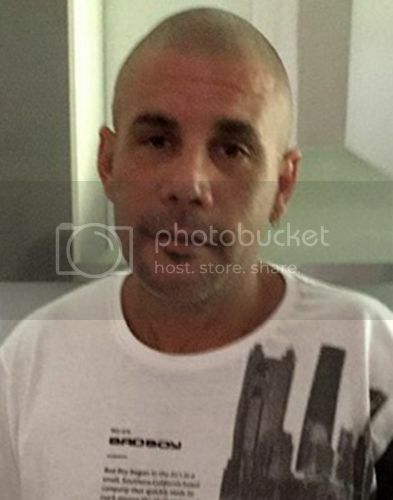 Darwin man Richard Roe, 40, was last heard from when he contacted his mother on October 25 last year. Six days later, his station wagon was found about 20 kilometres from his home, abandoned without fuel on Chinner Road, near Lake Bennett in Darwin's rural area. Police said Mr Roe had friends involved in the use and distribution of methamphetamine, but no drugs or paraphernalia were found inside his car. They said they were treating Mr Roe's disappearance as suspicious, and began a fresh search based on new information this morning. Forty police, firefighters and volunteers were working in difficult conditions, said Detective Acting Senior Sergeant Justin Bentley. "We're here with a great deal of resources so we hope we've found something," he said. "It's a very, very difficult area, the terrain out here is rocky and there's lots of spear grass, it's a very awkward area to search." Police believe Mr Roe had a motive for coming to the area on the day he went missing. "[Mr Roe] was here for a reason and had been sighted here for a couple of hours before he disappeared," Sergeant Bentley said. "We've now got information that's led us back here for a second search." Police said a big search completed in early December covered more than 120 kilometres of track, but returned nothing. They believe there are still people in the community who have information. "We know there are people in the community who are yet to disclose what they know about Richard's disappearance and want them to call us, it may give us the piece that we're looking for," Sergeant Bentley said. INVESTIGATORS have intensified a search in rugged bushland near Lake Bennett for missing Darwin man Richard Roe, feared dead over links to the Top End’s drug underworld. An anonymous tip-off led police to return where Mr Roe’s abandoned car was found on the Stuart Highway, 150m south of Chinner Rd. The area was searched in December but the fresh information was strong enough for police to thoroughly examine a 500sq m area yesterday. A search party of 40 police recruits and SES led by the Tactical Response Group walked through the thick scrub shoulder to shoulder. The search was abandoned due to heat just after noon without finding a trace of Mr Roe, 40, and is expected to resume today. Serious Crime Squad Detective Acting Senior Sergeant Justin Bentley said Mr Roe was last seen by himself on ­Cadogan Rd on November 2. Mr Roe was reported missing later that month and a week-long search of Lake Bennett over a 2.5km area and along 120km of tracks failed to find any trace of him. Sen-Sgt Bentley said Mr Roe’s friends had links with the drug scene. He said investigators don’t know why he travelled to Lake Bennett and were yet to uncover evidence that he was due to meet someone. “We know there are people in the community who are yet to disclose what they know about Richard’s disappearance and we urge them to contact us on Crime Stoppers,” he said. Sen-Sgt Bentley said Roe’s disappearance was considered suspicious and reaffirmed investigators’ commitment to establish why he went missing. “His family, rightly so, are very upset about what has happened and that’s why we want to reassure the family, his friends and anyone who knows Richard that the NT Police are doing everything we can to identify what led to the disappearance of Richard,” he said. Anyone with information can contact police on 131 444 or Crime Stoppers on 1800 333 000.